In His Presence (IHP) is a non-denominational Christian fellowship organised by SEED Ministries. 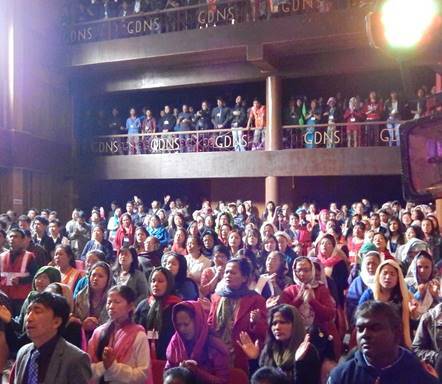 The last decade has witnessed a powerful move of God's Spirit in the harvest of souls and in miracle working power, like never seen before in India and the Himalayas! In this year's conference, we celebrated this awesome work of God with a colourful array of talented invited guest musicians and singers from the region. Above: Our guest artistes from the Himalayas were (from Left to Right) Bro Shaji on the Bamboo Flute; Naga Duets Ps Nico & Atou and Rev Asinlo & Amenla; Ps Sunil on his Tabla (Indian drums); Ps Isaac on the Sitar; Bro Ajay the one-man band; and acapella sensation the Dayspring Singers. 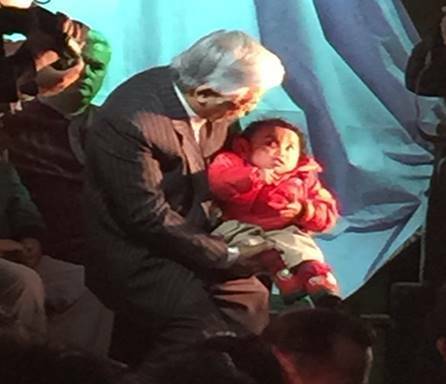 Below Left: A baby born blind and his parents, come to ask for healing. Below Middle: Rev Allan prays for the baby and he sees! Note how his eyes are directed towards Rev Allan. Above Right: Leaders from both Pentecostal and Presbyterian churches responding to the Holy Spirit. Bless Sukna - Truly It's Harvest Time! Below Left: A blind boy being prayed for by a local worker. Above Right: His sight is restored! Praise the Lord! 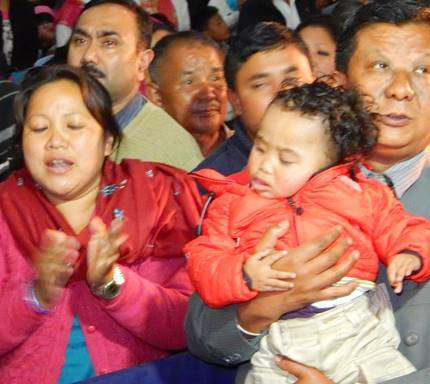 God turned up and shook the North Bengal region of Nagrakata during our "Bless Nagrakata Crusade". In one miraculous healing, a crippled man who came in a wheel chair, arose and walked immediately after receiving prayer! But this was only the tip of the iceberg. Read more. Below Left: Crippled man comes to the crusade in a wheel chair. Above Right: After receiving prayer, he walks. Praise God! THANK YOU FOR YOUR SUPPORT! TO GOD BE THE GLORY! 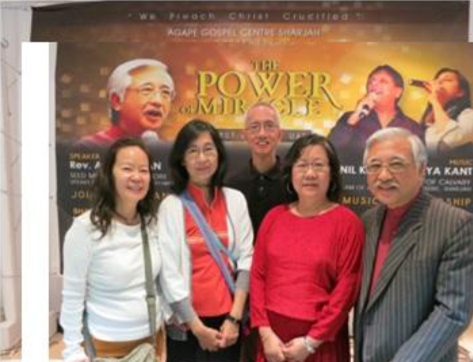 This year's Evening of Thanksgiving was held on 13 September 2014, 3.30 pm and over 70 SEED supporters, friends and loved ones, gathered to celebrate God's faithfulness in 11 years of fruitful ministry. It was an informal time of worship, testimonies and food - all FREE! 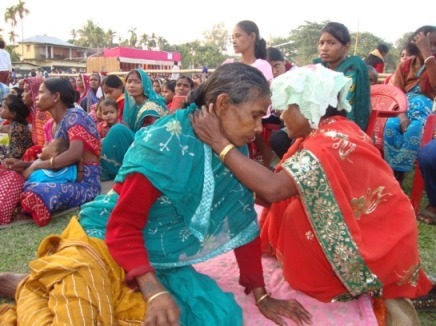 Khuribari-Malbazar-Garo Hills Crusades - Woman Arise! "WOMAN, ARISE ! " - It was as if Jesus spoke those words. That was the highlight of our final mission for 2013 when we witnessed the power of God to raise Mary - a 70-year-old woman who had been DEAD FOR SIX HOURS back to life !! to testify how God raised her from the dead. 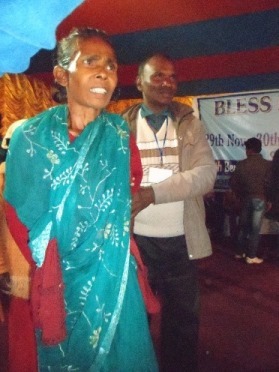 her is Pastor Khetu who prayed for the miracle. "Power of Miracle"; and the organisers billed it as a "First in UAE" - so was the description on the posters, banners and handbills. But God overwhelmed us with His divine purposes! Below Left: The team that went and survived the UAE. Above Right: Participants at the Sharjah crusade. 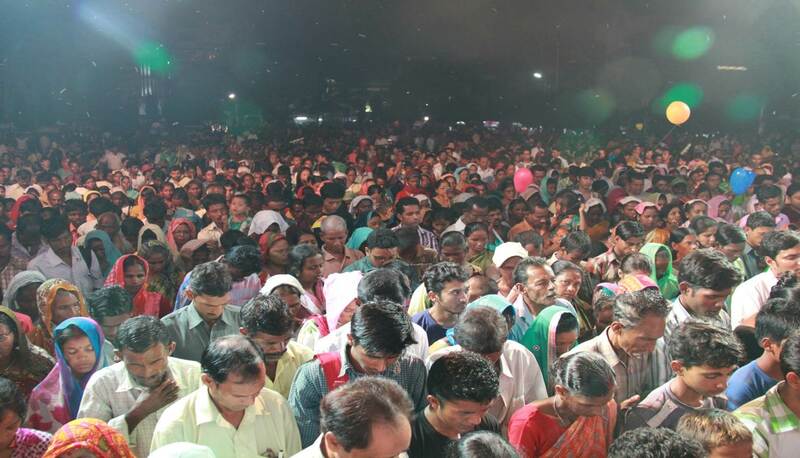 Coming from the powerful crusades of miraculous healings and salvations in India, we had similar expectations. But it was not to be: GOD HAD HIGHER PURPOSES. You see, God used their jobs to draw these people away from their prohibitive family and social environments to this soil so that they could receive Jesus! 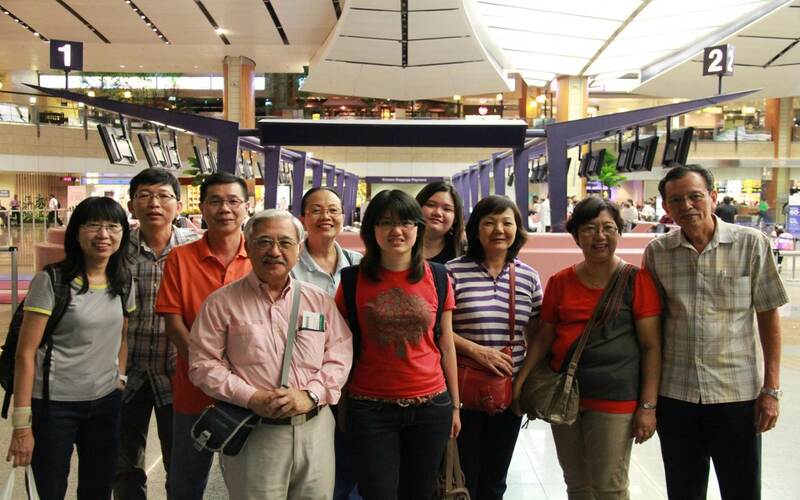 Left: The SEED team ready to depart at Changi Airport. some came running to the altar to accept the Lord!! When SEED started in 2003, we were determined to do whatever the Lord called us to do for however long He called us to do it. We had no idea how long it would last or where it would take us. This year, we celebrate SEED's 10th Anniversary with our Conference on the 6th and 7th of September at the Sophia Cooke Ballroom at YWCA Fort Canning. Register Here to come celebrate with us!